Problem with Sony is their marketing strategy, they don't publicise their phones well unlike Samsung or Apple. I own the X but in my country if I wanna buy accessories for my phone people at store aren't even aware about the model, they only have limited accessories of Z5/Z5 premium. 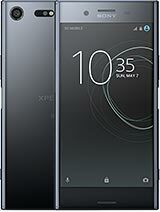 They should make people aware about their latest flagships as well as mid Rangers as they make quality phones in terms of looks and performance. Anonymous, 29 Sep 2016It's got only 1 GB RAM and a slow processor. You think it's perfect? It's because you haven't ... moreHey, not everyone need a top of the line smartphone. Many people can afford them, but after mid budget, the law of diminishing returns starts to act out. YO, 29 Sep 2016haha dont joke.i have an redmi 3 and redmi note 3 with 4000 mah battery,it hasnt exploded and ... morethey have less lifetime than a sony standard battery. and firing is possible for them. they use high numbers for high sell. they haven't any option like battery care and qnovo and just give you strong fast charging that harm your battery as soon as that is possible. 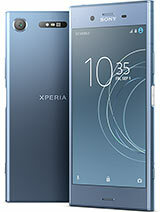 sony design and all elements on their phones designed for work several years.just look at xperia z from earlier 2013 its design is new and fresh after 3 years and look at competitors like samsung galaxy s4 even galaxy s5 or htc one !!! sony dont play with numbers for non-pro users that just look at numbers. 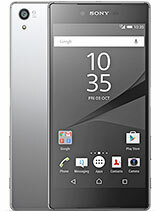 sony has faults like other companys but i think sony is better than all of them . FinestBezels, 29 Sep 2016I had my Huawei Ascend P2 since may 2013 and I never had a issue or I can't never say that my ... moreIt's got only 1 GB RAM and a slow processor. You think it's perfect? It's because you haven't felt or used a flagship phone or any modern midrange phone. 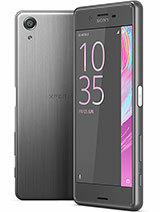 With the first sight of this phone with leaked photo in Internet few weeks ago, I had the same thought, design not so got and not big improvement from the past xperia Z lineup, But After the phone announced I wonder with the unique and eye catching design and the better performance with the review, In a world conquer by Samurai's called Apple, Fighting by pawns called Samsung, Sony is the Black Ninja.! Anonymous, 28 Sep 2016Sony and HTC are much better than Samsung or LG or others. You are in right way.I had my Huawei Ascend P2 since may 2013 and I never had a issue or I can't never say that my phone get slow, im happy with my smartphone, I can buy an iPhone or another top of the line, but why if my Huawei is running to the perfection? Anonymous, 28 Sep 2016Sony and HTC are much better than Samsung or LG or others. You are in right way.Huawei is good too, they know how to build a beautiful and good phone. Anonymous, 29 Sep 2016Note 4 has 291 nits at 50% setting. So his results are comparable don't need readjusting. ... moreI know that, but I would rarely ever need to set my phone's brightness to max all day so it's pretty common that average users will get better battery life by lowering their brightness setting when needed. Hence why, like you've said that ratings made for comparison but definitelly doesn't tell how it actually performs in real life. Plus, Note 4's AMOLED screen fares better in video playback because it doesn't consume as much power as IPS display when the video contains lots of dark scenes. battery is amasing and without risk of exploding.. note 7 show us that high capacity battery with campact space maybe will explode .. i never go for some products like chinnesse phones that use 4000 or 5000 mah batterry in their little body .. they are exploding to but dont any media reflex them .. sony do things standard and stable in both hardware and software. excellent sony . 8knots, 29 Sep 2016Note 4's battery life rating was tested with the old 50% brigthness standard while the XZ foll... moreNote 4 has 291 nits at 50% setting. So his results are comparable don't need readjusting. Also GSMArena always honestly said that their ratings are artificial and that because one purpose : to be comparable. In other words one phone can outlast other in browsing time , but lose in video playback and receive less points in general. You can make your custom ratings here. I set 4 hour's on web cause, I spend a lot of time in net. (even more than 4 hours). AnonD-102513, 29 Sep 2016Not sure what you are on right now but that is far from special.. The Note 4 which is two year... moreNote 4's battery life rating was tested with the old 50% brigthness standard while the XZ follows the new 200nits setting as with other newer devices. Had gsmarena sticks with the old standard, the XZ could post numbers greater than the Note 4 itself. Also the ratings posted by gsmarena don't actually reflect daily usage as many reviewers I've watched have shown that even a Z3+ (65h) can outlast an S6 (73h) by one to two hours of SOT. AnonD-481725, 28 Sep 2016Lol, i hadn't seen the endurance rating, OH MY GOD, 72 hours, sony is rocking, ROCK BABY ROCK. Not sure what you are on right now but that is far from special.. The Note 4 which is two years older last much longer than that, as well as the S6. Nothing Unique in this phone but its a matter of preference. Lol, i hadn't seen the endurance rating, OH MY GOD, 72 hours, sony is rocking, ROCK BABY ROCK. Waw, now i did see the camera performance of this phone, i am really amazed, especially in low light it does really great job even in 23 mp it succeeded in low light, now and finally i can consider this phone a perfect smartphone from sony :D.
AnonD-588252, 28 Sep 2016I hope the XZ helps Sony reclaim its former glory. Fondly recall my old Sony Ericsson phones -... moreSony and HTC are much better than Samsung or LG or others. You are in right way. I hope the XZ helps Sony reclaim its former glory. Fondly recall my old Sony Ericsson phones - right from the Walkman series to the fun C-series. I've been a HTC user since (Desire a8181, One m7 international) and the Xperia XZ is the second 'launch' (after the HTC 10) I am looking forward to this year. AnonD-559686, 27 Sep 2016How ugly. It looks cheap. The corners are like devil horns. I afraid its growing. I hope i wil... moreUgly? Lol XZ is one of the very beautiful and stylish phones. Is S7 Edge beautiful? It looks like a toy dude. It is designed only for girls. 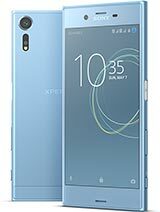 Total of 4871 user reviews and opinions for Sony Xperia XZ.